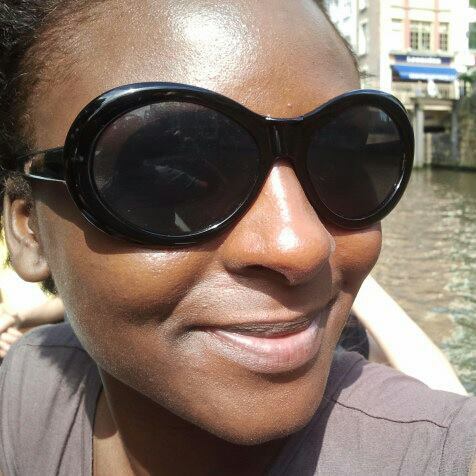 Lola Akinsiku, 33, is Nigerian but grew up in England and the US. An accountant by trade, she came to Amsterdam as an intern and is surprised to still be here 4.5 years later. More than that, she’s been inspired by the Dutch entrepreneurial spirit to start her own fledgling enterprise. How did you end up in the Netherlands? I came as an intern thinking I’d only be here for six months but then ended up with a full-time position. I was interested in living in a new city and fate gave me Amsterdam. I’ve never heard the term lovepat before; that sounds so cute; I’d love to be one of those! But I’m definitely an expat. As boring as it sounds, I came independently and purely for work. If not for my job I’d likely leave. Unfortunately not. I’m not great with languages but have attempted a couple of introductory Dutch courses. I know basic greetings and some specific words but very few. This being due to the fact that I always thought that each year after my first would be my last; yet here I am, still! I guess it’s more of a snack but I love those hot kaas rolls that they do in Albert Heijn to go. I’m a massive fan of cheese and love trying all the different varieties. It’s here that I first had komijn kaas – love it! Food, yes English food, because I love to eat. There is so much variety in English supermarkets and it’s so much easier to have a decent meal out for a fraction of the price you’d have to pay for the same here. I love the entrepreneurial spirit here in Amsterdam. So many people have exciting projects going on; you can find some great small independent shops, and quirky services. I find the Dutch to be creative and robust in this sense and I think that living here has pushed me to pursue my own entrepreneurial dreams more boldly; so I’ve become a bit more Dutch in my attitude in that sense. I’ve also picked up the habit of saying eet smakelijk whenever someone is so much as eating an apple! Take the stairs to the roof of NEMO Science Center. It’s a great way to see the city centre on a sunny day. The way they enthusiastically celebrated the monarchy (I’d never heard of Queen’s/King’s Day when I first arrived here) as I always thought the Dutch were a rebellious lot… although when I saw how they celebrated, it all made sense! Morning – eat Dutch pancakes. Afternoon – shop for unique Dutch designed products in the Jordaan. Evening – go to Café Brecht for a drink, I love their cute and cosy chairs.